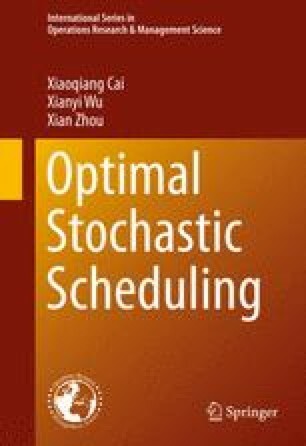 This chapter introduces and summarizes basic concepts and terminology in probability theory and stochastic scheduling, which build the foundation to develop optimal policies for a wide range of scheduling problems in subsequent chapters. In Section 1.1, we summarize the fundamental theory of probability in a compact and concise way. Section 1.2 discusses several versions of stochastic orders for comparing random variables, which are essential for the optimality criteria in scheduling problems. Section 1.3 describes basic concepts of stochastic scheduling models, including job characteristics, machine environments, scheduling policies, performance measures and optimality criteria. The notation used throughout the book is summarized in Section 1.4.